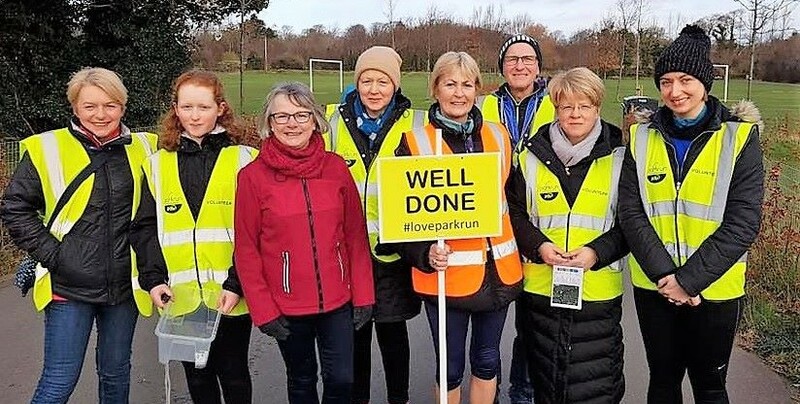 Almost 1,700 communities worldwide are now home to parkrun events every Saturday and Sunday, and just like the variety of parkrun courses, parkrunners come in all different shapes and sizes, ages and experiences, coming together every week for a walk, jog or run, followed by a coffee and a chat. Whilst man’s best friends, the four-legged parkdogs and parkrun pooches regularly take part too, they are not the only creatures that form part of the global parkrun family. In the latest instalment of the parkrun Tourism Series, we travel Planet Earth from safari to scouring mountain tops, digging underground and diving underwater in search of Mother Nature’s parkrun wildlife! First up, it’s an event that is known throughout the parkrun world for having a name that brings a smile! Piggly Wiggly parkrun has been a fixture in the KwaZulu-Natal midlands since 2014. Piggly Wiggly parkrun is a single-lap trail course walking jogging and running through vineyards and in a beautiful setting – but this piggy packs a bite as there is a particularly evil hill, known locally as Piggly Polly Shorts – it’s short and sharp! 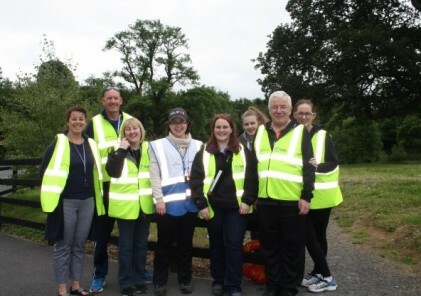 Like most parkruns, the Piggly Wiggly community is a total mix – from families to teenagers, buggy runners and elderly parkrunners who all take on the course each week. As well as that, buck, geese and other wildlife are spotted regularly and the sight of the odd hot air balloon floating by just adds to the magic. From the mud of the farm to the water in the pond, next up on our wildlife tour of the parkrun world, it’s Trout Pond parkrun in Canada. With parkrun now into its 15th year, Trout Pond parkrun really is a baby, having only launched in October 2018. The Trout Pond course is located in Taber, Alberta – known as the Corn Capital of Canada! With the summer course set to take in the glorious surroundings of Taber Lake, for the winter where temperatures plummet, the event will be and out-and-backer on dry, if not slightly snowy land, and the event has already welcomed more than 50 different parkrunners to the event they now call home. For our third stop, we’re back on dry land and we bounce our way Down Under to Kangaroo Island parkrun, in the state of South Australia. And as the name suggests, wildlife is a huge part of the island life! With almost 350 parkrun events currently in Australia, Kangaroo Island parkrun is a relative ‘joey’ having only recently celebrated their first birthday. Kangaroo Island, known as ‘KI’ locally, is Australia’s third-largest island, but despite a small population of only 4,500, this parkrun community has grown steadily over the Australian summer months. The dramatic out-and-back course along the coastline is staged in the island’s biggest town, Kingscote, which has an airport just a 30-minute flight from Adelaide, or a two-hour drive via the regular ferry services. From kangaroos in South Australia, to the gritty Mountain Goats in the United States, this next event became Tennessee’s first parkrun event in May 2018. On top of that, Sewanee, Tennessee has a population of just 2,300 people, making it the smallest community in America to stage a free, weekly, timed 5k. However, the parkrun course is largely flat, with few turns, making it a speedy proposition – whether you have four legs or two! And if you want to get the full Mountain Goat experience, you can bleat about that narrowly missed parkrun PB over post-parkrun coffee, which is served in nearby Mountain Goat Market! For our next destination on our parkrun safari, we head underground, from the dizzy heights of mountain goats to subterranean moles. Ironically though, Mole Valley parkrun is certainly more valley than mole, with one of the most undulating courses in the south of England! Since launching earlier in 2018, Mole Valley has become a hugely popular destination for tourists and locals, offering a rollercoaster course that flows up and down through a working vineyard. The scenery and views are breathtaking, and so are some of the climbs along the 5k! But fear not, as the saying goes: what goes up, must come down, and your helter-skelter 5k finishes with a free-wheeling downhill charge to the finish funnel, where you can raise a glass or a mug as you eagerly await the arrival of your results email! From the south of England, back to South Africa, this next four-legged creature is synonymous with sport and the country where it is found – it’s Springbok parkrun! Located near the west coast, Springbok parkrun is one of the smallest events in South Africa, averaging around 25 parkrunners each week. But, whilst it may welcome fewer finishers than the majority of events in the country, it has a close-knit community who enjoy a spectacular course each week. The out-and-back course starts at Daisy Country Lodge and walks, jogs and runs entirely along a gravel and sand track. Upon returning to the Lodge, you can enjoy post-parkrun refreshments safe in the knowledge you have completed this hidden gem of a parkrun! For the seventh and final stop of our wildlife tour, we arrive in mainland Europe, and beautiful Poland. Whilst majestic Elk typically roam in the forests and woodlands in North America, parkrun Ełk takes place along the bank of Ełckie Lake in the town of Ełk, to the northeast of Poland. The out-and-back 5k route is set on the promenade alongside the lake, making it a fast course as demonstrated by the course record, which is a lively 15:50! If these seven were not enough for you, you can also check out Catford parkrun, Crane Park parkrun, Fish Hoek parkrun, Frog Hollow parkrun, Heron Banks parkrun, Old Deer Park parkrun or Wormwood Scrubs parkrun! The complete parkrun Tourism Series is available here. Click here for more information on bringing parkrun or junior parkrun to your community.